Our professionals respond quickly to limit the damage and begin the restoration process using advanced, effective cleaning products and equipment. You can call RestorationMaster at anytime; we are available 24 hours a day, 7 days a week at (503) 376-6666 for emergency disaster restoration and cleaning services in Beaverton, OR and surrounding areas including Tigard, Hillsboro and Gresham. 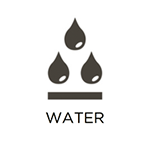 Water is arguably the most common cause of damage to a home as it is derived from numerous many sources. Heavy rains, overflowing appliances, and broken pipes can lead to water seeping into your home. It is quickly absorbed through building materials and furniture, allowing it to spread further into your home. If it enters through hidden areas, such as behind the walls, mold will grow before you know it, and ignoring it only leads to further damage. RestorationMaster provides comprehensive water damage restoration to Beaverton, OR and surrounding areas to remove excess water from commercial and residential properties. We arrive within 2 hours of your call to stop the spread of water, prevent further damage, and stop mold growth in its tracks. When a property incurs water damage, the materials can sustain major damage from clean water alone; however, when it is affected by sewage water, they will break down much faster. This makes treatment crucial in restoring the damaged materials and content. However, the you should never attempt to clean the area yourself as the waste water contains dangerous contaminants that pose a dangerous threat to the health of you and your family. RestorationMaster is available to provide sewage cleanup services in the Beaverton, OR area to not only restore the damage but contain it within the affected area. Our technicians have years of experience in effectively restoring the damage using advanced products and equipment. We also work with insurance providers to allow the claims process to run smoother for you. Finally, you can get some peace of mind and focus on family activities rather than worry about a dangerous sewage cleaning job. Fire can devastate a home within minutes, but the damage doesn’t stop after the flames are out. Smoke infiltrates other affected areas of the building as toxic fumes etch and tarnish household surfaces. This damage can become permanent within days, unless restoration begins quickly. 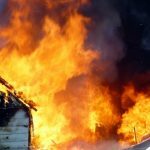 RestorationMaster offers fire and smoke damage restoration services to clients in Beaverton, OR and surrounding areas to clean smoke, soot, and fire damage. We arrive quickly to stop the spread of damage, preventing it from becoming permanent. Our fire and smoke damage restoration professionals use the best tools and cleansers available in the industry to safely clean the acrid smell from your home or business. This way, household materials including chrome, marble, and porcelain can be restored to their original conditions. 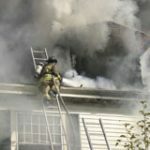 While it can be shocking to discover soot and smoke damage on your property after a fire, it is important to know what to do in order to save you from additional costs and repairs in the future. As the fire and smoke have the abilities to start small and spread quickly, immediate action is needed in order to prevent permanent damage. RestorationMaster is available 24/7 for emergency smoke and soot damage restoration services in the Beaverton, OR area. Our technicians are constantly attending ongoing training sessions, in addition to their years of experience, to remain up-to-date in all of the latest cleaning trends in the industry. As we are committed in providing you with peace of mind, we work to provide the highest quality services so you and your family or staff can get back on track as soon as possible. As our services cover both commercial and residential settings, our team is prepared to handle smoke and soot damage for properties of all sizes. We will also work with your insurance provider during the claims process to eliminate as much stress for you as possible. If you think mold is bad on cheese, imagine finding it in your home. 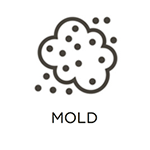 Mold spores occur naturally in the air, so all they need is a source of moisture and a food source to grow, like those found in building materials. 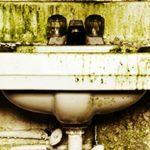 Mold isn’t just disgusting; it will damage your home and its contents. Even worse, mold irritates eyes and lungs and makes respiratory issues worse. RestorationMaster provides total mold removal and mold remediation to residential and commercial clients in Beaverton, OR and surrounding areas. We’ll contain the mold to keep it from spreading, develop a comprehensive remediation plan, and then remove all traces of it so the area is safe for habitation again. Nothing can be more frustrating than to return to your property and find a strong, foul odor left behind from the damage. Not only can this be annoying, but the odor can also contain dangerous contaminants that can cause negative health effects, especially for those living with allergies and respiratory problems. While the sources of odor can include mold, smoke damage, water damage, and more, these can be difficult to remove without the right chemical products. RestorationMaster is available in Beaverton, OR to provide deodorization services. Not only do we have years of experience in effectively removing all types of odors, our technicians attend frequent training meetings in order to remain up-to-date on the latest cleaning techniques and equipment. This is to ensure the ongoing quality of our services so you can return to your property without having to worry about being reminded of the damage. As we serve both residential and commercial properties, we are also able to service homes and buildings of all sizes. Finally, you can rely on us to effectively remove the foul odor from your home, no matter how strong or how far it has spread. Disasters affect more than just buildings; everything inside is susceptible to damage. Although many items may have sustained fire, flood, or mold damage, they are not always completely ruined. The experts at RestorationMaster have extensive training in content cleaning and pack outs, along with highly effective, yet gentle cleaners and equipment (but they are not available to the public). Content cleaning is provided to residential and commercial clients in Beaverton, OR and surrounding areas. We arrive quickly to clean and restore all types of content. Restoration work is performed on-site, but if the structure is not secure, we pack out your items for restoration and storage at our secure facility. 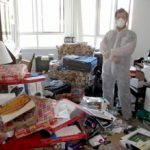 Hoarding is much more severe than just sloppy housekeeping. It is a complicated disorder that is associated with anxiety. 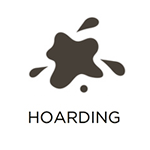 Through advanced research, we have increased our knowledge of the disorder; however, affected individuals and their families continue to fight the battle of hoarded materials. Piles of items can harbor dust, insects, rodents, and mold, not to mention allowing the potential for fire hazards. RestorationMaster offers hoarding cleaning services to clients in Beaverton, OR and surrounding areas. Our mission is simply not to dispose everything; we work with the hoarder to sort through items, while cleaning and restoring the home to sanitary conditions. You carpet is central to the appearance of your home or office, making it important to keep it clean and well maintained. Daily foot traffic also causes your carpet to constantly gather dirt and debris; however, vacuuming alone simple will not remove everything. You must have your carpet professionally cleaned in order to maintain its condition and appearance. RestorationMaster provides carpet cleaning services for homes and businesses in Beaverton, OR to remove embedded debris and stains for an improved look. These services not only enhance the look of the space, but contribute to a healthier environment. No one likes to experience any type of property damage, especially if the damage is severe enough to affect the structural core of the home or building. Many types of natural disasters including flooding, fires, storms, and vandalism can potentially cause extensive exterior and structural damage that can only be repaired with remodeling or complete reconstruction services. RestorationMaster provides home remodeling and reconstruction services to stabilize and rebuild homes and buildings in Beaverton, OR that have experienced significant damage. You can trust our construction crew to stabilize, rebuild, and remodel your home back to its original condition. While it can be a relief to find that the remodeling and reconstruction job is finally finished on your property, it can be overwhelming to find that it is covered in dirt and debris from the construction site. Unfortunately, this situation also presents safety and health risks as any sawdust left in the air can trigger allergies while the nails and screws left on the floor can cause injuries. While nobody should have to deal with this mess, it is best to have a team of professionals handle the cleanup job. 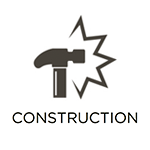 RestorationMaster is available to provide post construction cleaning services in the Hillsboro, OR area, fully removing all debris and dirt left over from a construction site. With years of experience, our technicians will ensure that your property will provide a clean and healthy living environment once again. 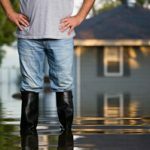 When a natural disaster damages a home or building, there is little we can do to prevent it from destroying the structure. But if it has left your property structure in a devastating condition, it faces the risk of collapsing or additional damage from future rain, nuisance animals, and even vandals. But as soon as you have encountered your property in this vulnerable state, don’t hesitate to take action right away. RestorationMaster provides 24/7 emergency board up and tarping services in the Beaverton, OR area to stabilize the property and prevent additional damage. Until reconstruction and/or restoration services can occur, these services will buy some time until repair services can be made. When it comes to commercial disaster restoration services, there is no better provider than RestorationMaster. We have the experience, personnel, equipment, and methodologies needed to restore your property following any manner of damaging event. 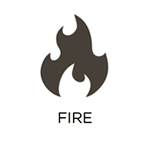 A few examples include fire and smoke damage, water damage, mold damage, and more. Our time and cost effective approach will limit your company’s expenses in terms of both restoration costs and operational down time. If your business is located in the Beaverton, OR, area, then we encourage you to contact us as soon as possible to limit the extent of the damage, and get you back to standard procedures once more.